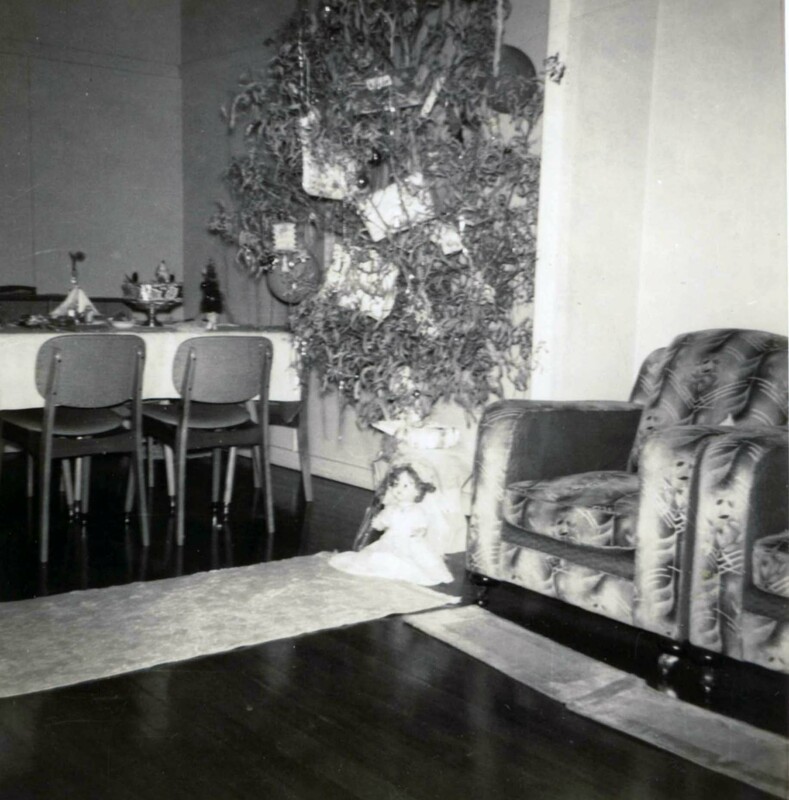 As a child we always had a live tree – in fact I’m not sure artificial trees were even available then in Australia. However our live tree was nothing like what anyone in the northern hemisphere would imagine. It wasn’t a fir of any sort, tall and thick with a pine-needle smell. Instead in the week before Christmas my father would go down to the creek bank near us and select a small gum (eucalyptus) tree which he’d cut and bring to the house. I don’t know how common this was as I honestly can’t recall other people’s trees. As soon as the gum tree was in the house there would be the pervasive smell of eucalyptus throughout. The tree would last till a bit after Christmas before it started dropping all its leaves. In my adult family we’ve mostly had an artificial tree as we’ve often been in places where there are limited other choices. 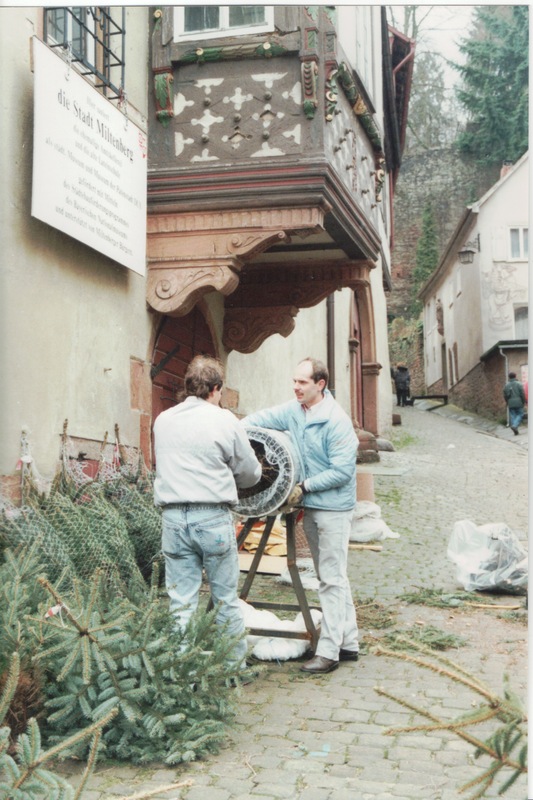 I remember when we first visited Europe near Christmas-time being intrigued by those weird contraptions that wrap your tree in what I think of as onion-bag netting. I don’t recall ever seeing anything like that in Australia anywhere…but perhaps it happens in the southern states? Anyone want to comment? Our first own-family tree was a casuarina which my husband said was collected from near the club at Alotau in the Milne Bay District of Papua (as it was then). Similarly when we moved to Goroka in the Eastern Highlands we also had a casuarina. Long ago and far away: Christmas in Goroka, PNG. Eldest daughter and her first "big girl" Christmas. 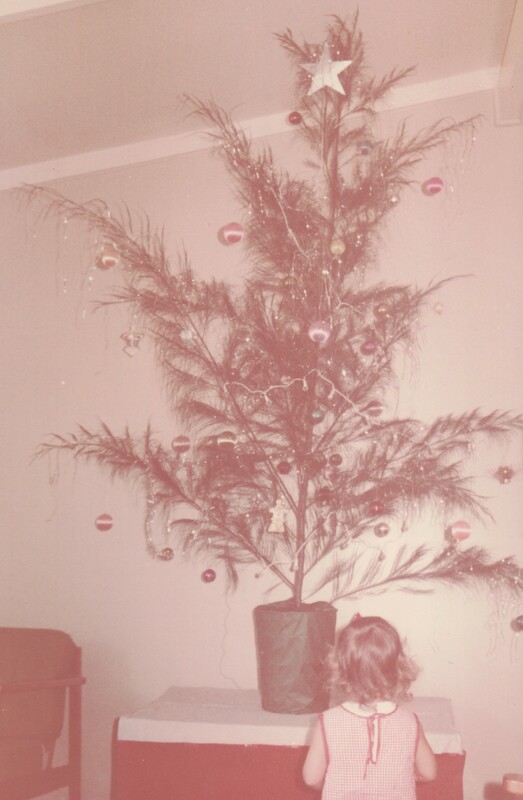 When we moved to Port Moresby we bought an artificial tree which was quite sizable…probably close to 2 metres, and lasted throughout our children’s growing-up years. When we downsized to Darwin, we left the big tree with the family in Brisbane and downsized our tree as well. Now we have grandchildren in the family, last year we upsized again.…the cycles of life. Besides which the cat, who loves to climb in the tree and remove decorations, needed a bigger tree to mangle! The small one had taken a battering over the past few years. This entry was posted in Advent Calendar, Brisbane, Family History, Queensland and tagged Advent Calendar of Christmas Memories, advent Calendar of Christmas Memories 2011, Advent Calendar of Memories 2011, Alotau, Bavaria, Goroka, Milne Bay, Miltenberg, Papua New Guinea, port moresby by cassmob. Bookmark the permalink. Lovely story of the cat climbing the tree. You are right, here in the UK real trees are sold with netting over them. I had my first Christmas card in the post today and notice a house us has their tree up already; too early surely? Yes I’m not entirely looking forward to the daily reconstruction of the tree…I’d like to think he’s matured but not holding my breath! Interesting that the netting is common beyond Germany. As to trees up already, I sadly fear that by the end of the weekend it probably won’t be too early..the weeks have flown by. Thanks for commenting.